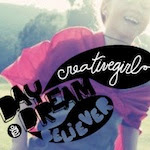 I went to San Francisco this weekend and shopped! 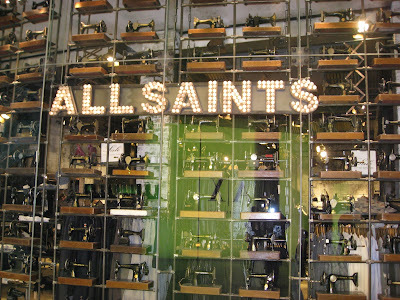 I found this great store called All Saints. Originally from London, All Saints now has just a handful of stores in the US. What drew me inside was the window display of at least 100 of old sewing machines. Everywhere I looked was reference to sewing, like a wall of old spools. Of course I did not leave there with out purchasing a wonderful pair of boots, all leather and lined...so comfy! I really do love the look of their fashion line this year too! I got the boots in the middle! 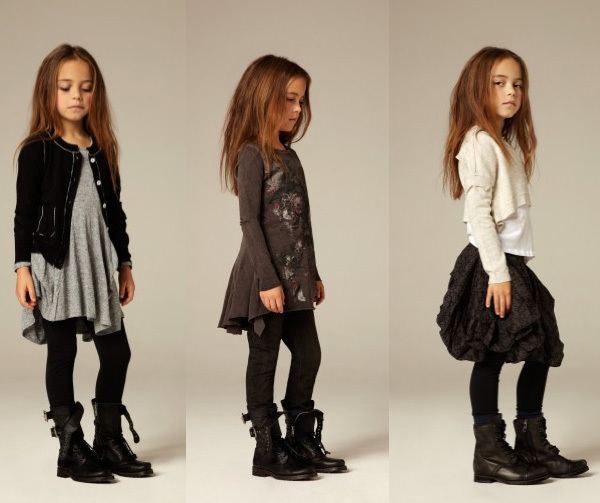 So cute for little girls too!